Earlier this week, I emailed Geoff my Christmas Wish List (per his request). The list included big items (a Global veggie knife, a Keurig coffeemaker) and some small items (new can opener, wooden spoons ... omg people have I told you about my wooden spoon fetish!? I LOVE THEM). I included many small items because I thought "Hey -- I'll give Geoff some options to pick out whatever he would like to get me!" Geoff's response to the email was, simply, "OMG"
So you can imagine what his reaction MIGHT be when I told him I NEEDED a $600 stroller. Actually, I can imagine any normal human being's reaction to being told by someone that they needed a $600 stroller. Look. Phoebe might not even be walking by the time No. 2 comes around (dear God, we have to stop calling this baby "No. 2"). So I clearly need a double stroller. We already have a Chicco car seat and I don't want to have to buy a different one (like a Graco, Peg Perego, etc.) just to fit into a stroller. I was mad that Chicco only offers one twin stroller and their car seat doesn't fit into the seat. Yes, yes, I know "Car seats are for cars" and of course I should always wear No. 2 (sorry, kid, it's gonna stick for now) in a sling or the Ergo, etc. EXCEPT WHAT ABOUT WHEN I'M GOING TO TRY ON CLOTHES? OKAY? SOMETIMES I JUST CAN'T WEAR THE BABY! So I emailed Chicco and said "Look doods, I'm about to have a 2 year old and a newborn, neither of whom is gonna be able to walk for awhile, so like I'm gonna need a stroller that holds 2 kids and I LOVE my Chicco car seat and would love something that works with it ... got anything in the works?" And in the meantime, I found this. I realize in that picture it looks like it only seats ONE child, but you can purchase the "Rumbleseat" separately for $140 and then 2 kids can fit easily. It folds up small, it weighs like 24 lbs and it isn't 12 feet long. So I emailed my Stepdad because I decided that if I was going to be getting a stroller that cost that much, I was gonna need some help. Financially speaking. I figured I would also need some marriage counseling and possibly a defibrillator because Geoff was going to have a heart attack when I told him about it, but whatever! WHATEVER! I need this stroller. And right after I hit "send", I heard back from Chicco. 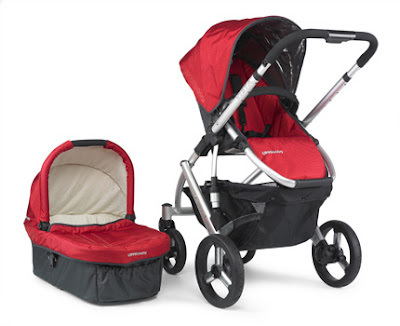 They suggested the Kolcraft Contours Options Tandem Stroller. And -- holy crap -- it's like $200! Crazy, right? Well, it also weighs FIFTY GODDAMNED POUNDS. And that's BEFORE you put the kids in. In and out of the trunk of my car. Chicco also told me they are coming out with a tandem stroller in "Spring 2010" and to check their website for information. There is no information on their website about this new stroller. So, like, I'm just supposed to WAIT ... until "Spring" (What -- March?) to see what they come up with? I love our Cortina. It's been good (but HUGE) to us. It has a lot of great features, except it only seats one child at a time, which is going to be an issue come June. So my stepdad said he'd send us "some money" (I don't know how much, but I'm guessing $200 - $300) toward the purchase of stroller (or TV, which we are buying after Christmas because we are the ONLY PEOPLE WE KNOW who still have a tube-style TV). "WE CAN'T AFFORD A $600 STROLLER!!" I said "Well I KNOW that WE can't, which is why I asked for money from stepdad!" Look -- people want to buy crap for a new baby, but we have everything we need. Yes, we're gonna need another crib (or a toddler bed or something) next year, but baby No. 2 is probably gonna just sleep in the co-sleeper for 4 months like Phoebe did. And we can find another crib/bed used on Craigslist for like $100 or just get a new one from Ikea. We have cloth diapers, blankets, toys, car seat, pack and play, co-sleeper, boppy, burp cloths, Ergo, slings, washcloths, towels, infant thermometer, pacifiers, etc etc etc. Heck, I still have like 4 tubes of diaper rash cream because Phoebe never got diaper rash. Literally the ONLY thing we need is a double stroller. So if you want to give us a baby gift, that is the ONLY THING WE WANT/NEED. Unless of course this baby is a boy, in which case we're PROBABLY gonna need some clothes. But baby is coming in June and we have a bunch of newborn/0-3 month white onesies so we'll be good for a month or two at least. Besides, we have about a million blankets (oh how I love you, Aden and Anais). And if we have that stroller, baby can just hang out in his/her diaper wrapped up in blankets. I love Aden and Anais!!! Swaddle blankets are to die for. LOL -- you DO realize I read these, don't you? You're just gonna have to accept that I need that stroller, Pal. Geoff she does need that stroller....trust me. Just put $10 away each week until the baby gets here and then it will be paid for!!! Like magic you didn't even realize you bought it! !